And how do you measure the size of such a variety? I prefer enough sugar to make it a hypertoric variety. I made a similar joke with a professor who is knowledgable in toric varieties. 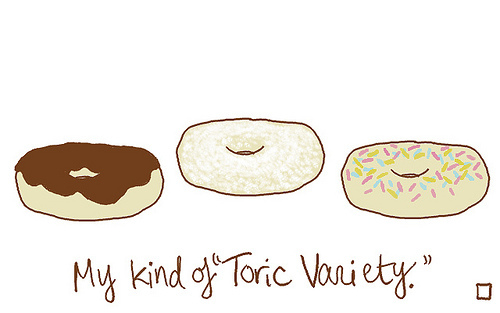 He voided my joke by saying that “toroidal” would be more appropriate.